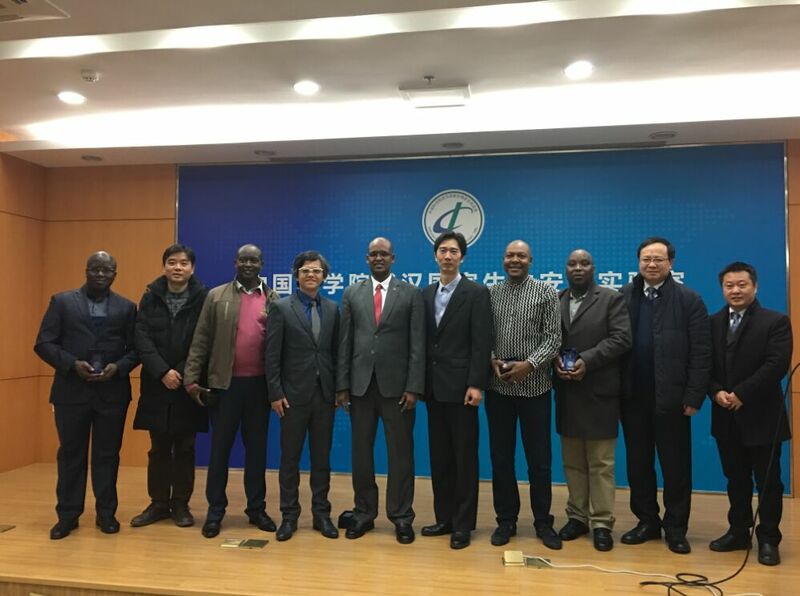 On Feb 23, under the organization and coordination of Sino-Africa Joint Research Center, Chinese Academy of Sciences (CAS), Prof. Muhammad Hussein Abdille, the Senior Advisor of the Cabinet Secretary on International Partnership and Collaborations of the Ministry of Education of Kenya and other five delegates, accompanied by Prof. WANG Qingfeng, the Director of the Sino-Africa Joint Research Center, paid a visit to Wuhan Institute of Virology (WIV), Chinese Academy of Sciences (CAS). The delegation hopes that this trip will further strengthen the bilateral cooperation in virology research, prevention and control of infectious diseases, epidemics investigation and biosafety. The delegation visited Wuhan National Biosafety Laboratory (Wuhan P4 Laboratory) and participated in the seminar. During the discussions, the two sides had reached consensus to promote the cooperation under the framework of Sino-Africa Joint Research Center, including joint research collaboration, personnel training, students’ exchanges and etc.